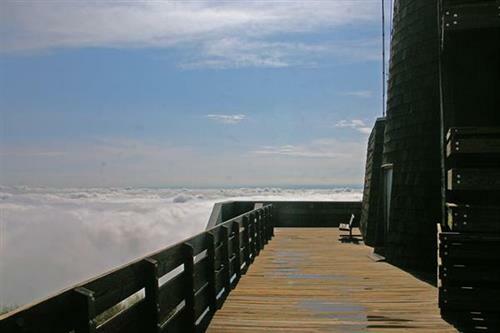 The Brasstown Bald Visitor Center Complex, located atop Georgia's highest mountain, has an elevation of 4,784 feet and attracts over 100,000 visitors a year, providing a central point for information regarding the Southern Appalachian region. 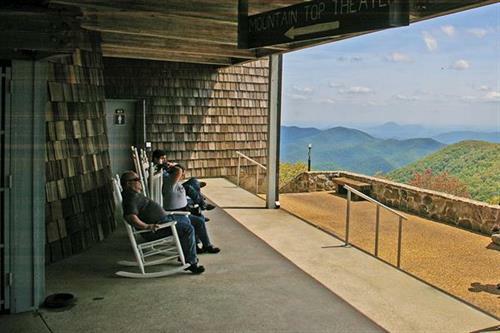 The 360-degree observation deck offers breathtaking mountain views across four states, making it a popular visitor attraction in the North Georgia mountains. 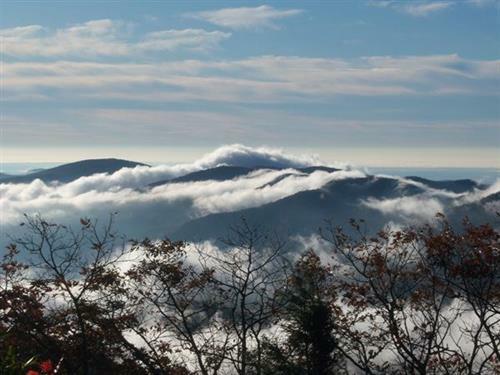 The beautiful, mountainous region provides a unique habitat for a wide variety of southern and northern plant species and wildlife meeting in rare combinations within the ridges of the Brasstown Bald Wilderness. On clear days in fall and winter, it's even possible to see the skyline of Atlanta.